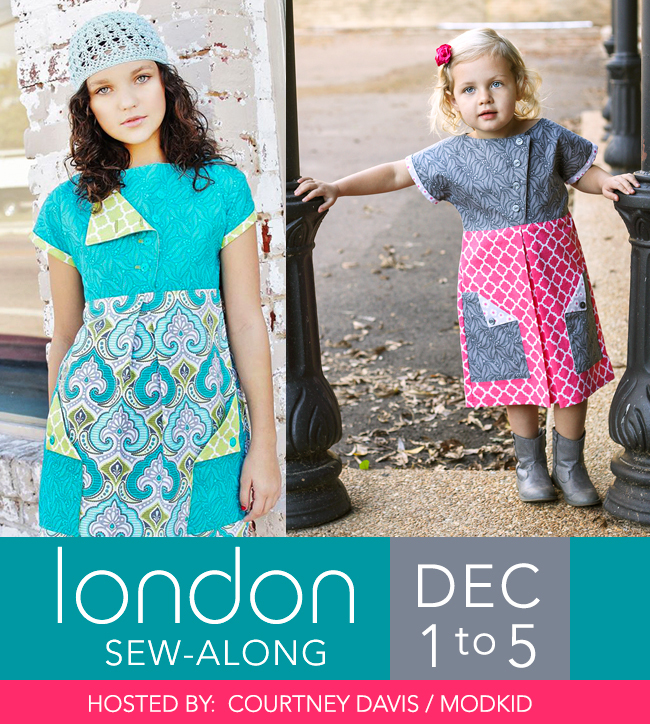 Welcome to Day 2 of the London Dress Sew-Along! Today we are working on creating the bodice. We won't finish it until tomorrow, but let's get started! Keep in mind all seam allowance are 1/2" unless noted otherwise. First, fuse a 3/4"- wide strip of lightweight interfacing to the wrong side of the two opposing front bodice pieces along the diagonal front edge. Place each front bodice piece on top of the back bodice piece right sides together. Align and pin at each shoulder. Stitch each shoulder with 1/2" seam allowance. Repeat for the remaining front and back lining pieces. Place the bodice lining and main bodice pieces right sides together. Pin around the neckline and down each front diagonal edge. Stitch with a 3/4" seam allowance up the front diagonal edges and with a 1/2" seam allowance around the neckline. Pin the sleeve openings making sure the shoulder seams align. Stitch with 1/2" seam allowance. Leave the underarm and bodice bottom edges unstitched. Trim the neck opening to 1/4". Clip the neckline curve and the front corners of the bodice. Turn the entire bodice right side out. Push out cornets and smooth out the curve. Press all edges well. Topstitch along the front diagonal edges and around the neckline. Tomorrow we will complete the remaining bodice steps.